The Frederick Maryland Christmas Show will be at the Frederick Fairgrounds on W. Patrick Street, November 17, 18, 19 & November 23, 24 & 25. Friday & Saturday 10 a.m.–6 p.m. Sunday 10 a.m.–5 p.m.
Nov. 23rd, 9 AM to 9 PM, Live entertainment, hot chocolate, and Frosty the Snowman, Scrooge, the Grinch, and Santa appear to liven up Christmas shopping in the Historic District. November 24th the Downtown Frederick Partnership supports small businesses, join the Shop Small movement in downtown Frederick. Every Saturday in December is a “First Saturday”! The month is themed “Holiday Nights”, with each Saturday full of nights of shopping and dining. There will be sales! There will be evenings of carriage rides, food and beer & wine tastings, art exhibit openings, guest artists, caroling and other live entertainment, and sales! Kids of all ages will enjoy free hot cocoa and make-your-own S’mores. Participate in the downtown Frederick Holiday Scavenger Hunt! And there will be sales! 5 pm to 9 pm. December 1st, 8th, 15th, and 22nd. 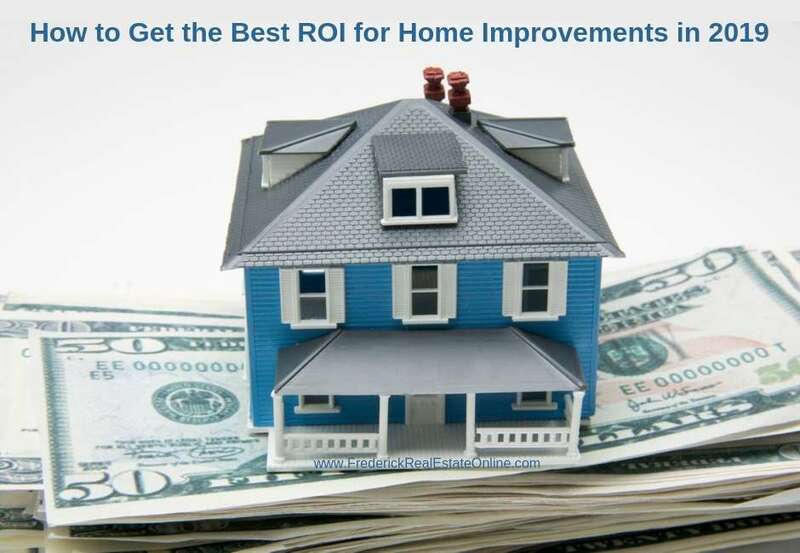 (see the Downtown Frederick Partnership Website for details. 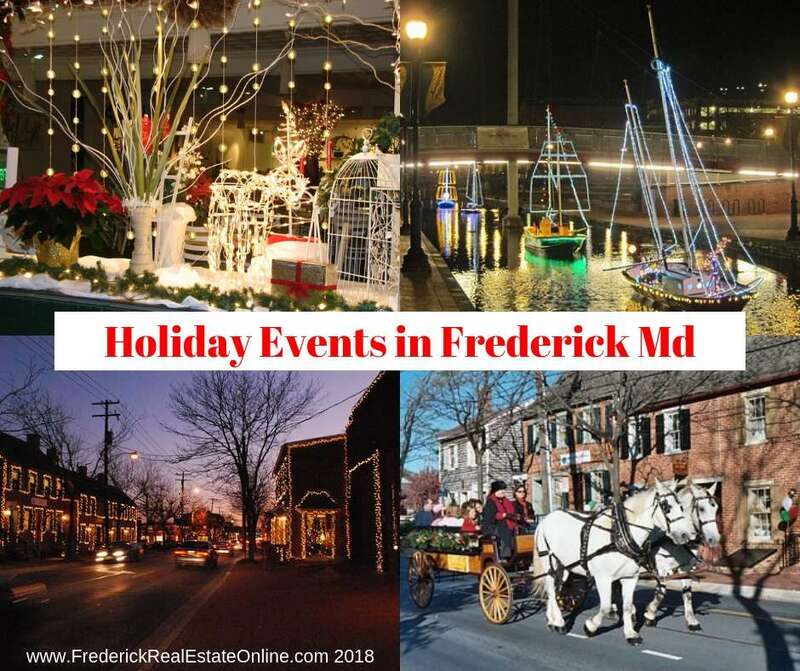 First Saturday is one of the best holiday events in Frederick MD! Holiday Art Competition at Delaplaine. Nov. 28. Arts & Crafts Expo. Christmas with the Frederick Chorale, St. John the Evangelist Catholic Church, Dec 2, and 3. Way Off Broadway, Silver Bells, The Great Elf Adventure. Maryland Ensemble Theater: Who’s Holiday, Junie B. Jones in Jingle Bells, Batman Smells! Touring: A Christmas Carol, and more. At the Weinberg: Lightwire Theater: A Very Electric Christmas, Tuba Christmas, Weinberg Winterfest, The Nutcracker Ballet, A Christmas Carol, Cherish the Ladies, A Celtic Christmas, It’s a Wonderful Life, and more. Frederick Community College: The Choral Arts Society of Frederick – Winter Concert, The Spires Brass Band Christmas Concert, Winter Winds and Brass, FCC’s String Ensemble, Swing’s the Thing. Holidays at Hood, Frederick Symphony Orchestra, Hood College. Wind Ensemble Concert, Jazz Ensemble Concert, String Ensemble and Chamber Singers. 37th Annual Valley Craft Network Studio Tour, A tour of 10 Artists Studios, Nov. 17-18. (always the weekend before Thanksgiving) Middletown Valley. 10 am to 5 pm. Emmitsburg Community Chorus, Nov. 26, National Shrine of Elizabeth Ann Seton. Adventure Park USA, Breakfast with Santa & Friends, Dec. 16. Earth & Space Science Lab, Dinosaurs Alive!, 210 Madison St. Frederick, Md. Tree Lighting Ceremony at Westview Promenade, Nov. 17, 5 – 8 pm. Storybook characters to pose with children, music, hot cocoa and its free. Santa’s Arrival, Everedy Square and Shab Row, Nov. 23rd, 7 pm. and other events. Kris Kringle Procession, Fri. Dec. 7, 6:30 pm. Candlelight House Tour, December 1 and 2. Santa Trains, Walkersville Southern Railroad. Adventure Park USA, Breakfast with Santa & Friends, Dec. 16. Family New Year’s Celebration, Dec. 31st. Story Time with Mrs. Clause. See all of the Library Events. Santa Train, Walkersville Southern Railroad, Dec. Saturdays and Sundays. Breakfast with Santa, Urbana Volunteer Fire Department, Dec. 9th. 7-11. Candlelight Ghost Tours, downtown Frederick. Friday’s and Saturday’s. 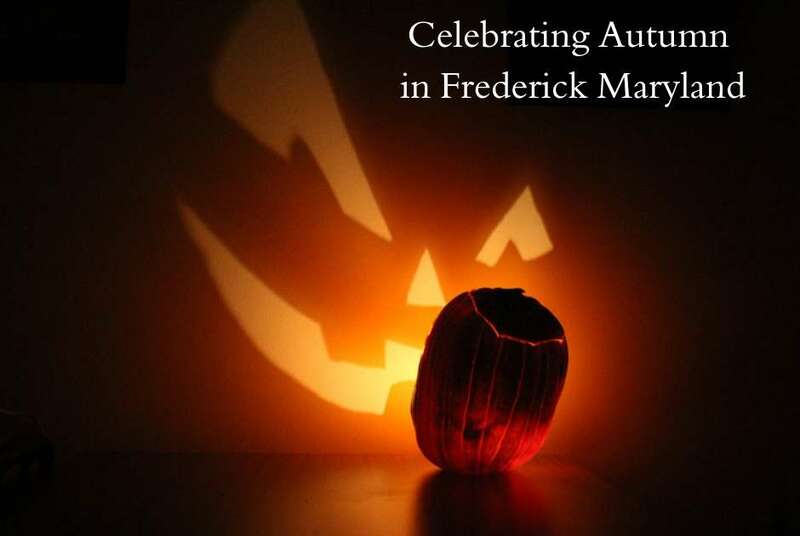 Frederick County Public Library events: Music, Stories, Arts & Crafts, STEM Lab, games and more. Museums by Candlelight, Dec 8th, 12 pm to 7 pm. Antietam Battlefield Illumination, 23,000 candles light the battlefield. Dec. 1st. Are you looking for a way to volunteer? Volunteer Match is a website to find local volunteer opportunities. Giving Tuesday, Frederick Community College Foundation, Nov. 27th. Toys for Tots, Westview Shopping Center, Dec. 9th. Harvester Holiday, Dec. 1, 11 am to 2 pm. Rose Hill Manor. Visit with Santa, ride a tractor-drawn wagon through downtown Frederick. Train display, crafts and shopping. Support local Charities. COIPP Silent Auction (Children of Incarcerated Parents) McClintock Distillery, December 4th. The Frederick Rescue Mission welcomes food donations for Christmas Dinner, as well as volunteers. Jingle Bell Run/Santa Stroll, Dec. 2, Historic Downtown Brunswick. Costume judging, hot cocoa, tree-lighting, an entire day of fun. Bring canned goods for the Brunswick Food Bank. Jingle Fred Christmas Crawl, benefits he Humane Society. Maryland Event Calendar for Walking, Running, Cycling, etc. Way Station Thanksgiving Day Turkey Trot, Baker Park, Nov. 22, 7:45 am. The Frederick Rescue Mission welcomes food donations for Thanksgiving Dinner, as well as volunteers. Scents and Sweets Competition and Auction, Nov. 29, 5:30 – 7 pm. William Talley Rec Center. Holiday Open House, Thorpewood Lodge, Dec. 8, 2 – 8 pm. 12th Annual Gifts and Greens Sale, Nov. 29 – Dec. 1, All Saints Episcopal Church, 106 West Church St. Frederick. Traditional Village Christmas, Dec. 1, Village of Catoctin Furnace, 12607 Catoctin Furnace Rd, Thurmont. Christmas in New Market, Dec. 1 . Main Street New Market. Fort Ritchie Holiday Craft Bazaar, Dec. 8, 9 am – 3 pm. Pop-up Holiday Market, Brunswick Nov. 23 through Dec. 23. Hometown Holidays, Brunswick Dec. 8. Live Nativity, Wesley Chapel Urbana , Dec. 2. at 6, – midnight. Westview Promenade. Visits with Santa and Mrs. Claus, Dec. 8, and Toys for Tots. Cookies and Carriage Holiday Light Tour, Skater’s House, Corner of 2nd St. and W. College Terr. Dec. 20. Murder Mystery Dinner Train, Walkersville Southern Railroad. Christmas in Middletown, Saturday, December 8, 2017: The Stone House Museum, 305 West Main Street, will be open for “Museums by Candlelight” from noon – 5 pm. Tree Lighting Ceremony at Westview Promenade, Nov. 17, 5 – 8 pm. Santa Arrives at 7 pm sharp in a horse-drawn carriage at Everedy Square and Shab Row. Nov. 24. Candlelight House Tour, Dec. 1-1. A self-guided walking tour through various Downtown Frederick homes. Holiday Carriage Rides in Downtown Frederick, Fridays, Saturdays and Sundays, afternoons and evenings. Call the City of Frederick Rec Dept. 301-600-1492, or check the website for dates and rates. Myersville Rock & Country New Year’s Even Celebration. 6th Annual New Years Eve Key Drop, Dec. 31, Suspension Bridge over Carroll Creek. 2019 Family New Year’s Even Party! Adventure Park USA, 9 pm to 12:30 am. The theme for January’s First Saturday (Jan. 1st) is “Afterglow”, a time to relax after the Holidays. Takes place from 5 pm to 9 pm. January 1 – Freezin’ for a Reason, Take a plunge in the Potomac River, Brunswick, proceeds go to Beacon, Special Olympics. Many restaurants in Frederick have a special New Year’s Eve menu and entertainment. 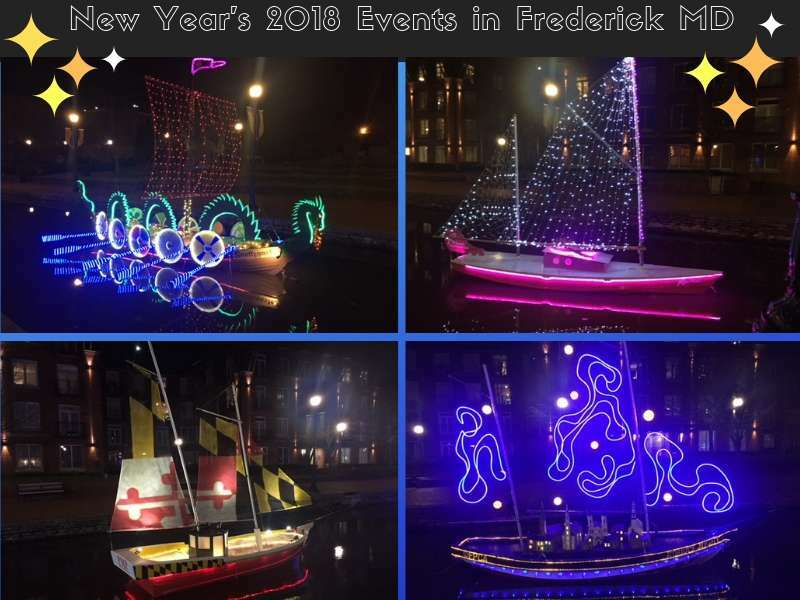 Consult the websites above for more wonderful Holiday events in Frederick MD. Times and dates are not guaranteed. Enjoy the blessings of family and friends this Holiday season! Who Serves Easter Brunch in Frederick MD?